The last few weeks (here in Gauteng) have brought with them the lightning and thunder that we all know too well. 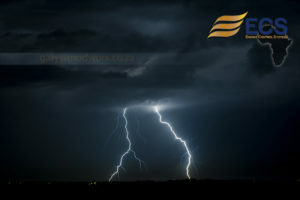 Just recently after a MAJOR electrical storm we did some calls at random into our client base. All of these clients have SineTamer® installed at their premises. NOT ONE of them had any losses or downtime whatsoever. I say again NOT ONE. Technology is advancing at an alarming rate but you know that already! Power protection, however, has been lagging behind – that is until SineTamer® came around. Normal traditional protection is honestly not sufficient to cover all your sensitive devices any more. If it was – why are people’s things still getting blown up? Why are they still experiencing computers just hanging? Why are the new electronic lighting systems failing? Why do they have to reset their production or IT equipment so often (or randomly)? Why are IT technicians still telling them “It must have been a surge!”? YET these same people have various forms of traditional protection in place. The wise decision is to look at the protection technology that protects everything (electrical and electronics). The one and only – SineTamer® … if you’d like more information on SineTamer® drop me an email and I’ll send you links to peruse over. 2017 – is it possible that it’s pretty much done and dusted? Yes – it is. I have to say that this was a year that flew past so fast. We at Adriatic Power would like to thank each and every one of you for your ongoing support throughout the year. We had a very successful year and have managed to help many of you to overcome a myriad of power related problems. Some of the problems that you had were small and some were large. From simple solutions like a single SineTamer all the way to huge problems that needed combinations of products like Generators, Voltage Stabilizers, UPS’s and SineTamers all in one factory. Our specialized systems integration team put together solutions to fix some really complex problems. Thank you for putting the faith in our technical knowledge, experience and abilities. 2018 – we will be here to serve you and to tackle any and all power/technical problems that you experience. Just a note. We will be closing our offices on the 15th December 2017 and re-opening on the 8th January 2018. We will have a small part of our team – i.e. technical and sales available should you have an emergency during this time. Please Call Marius Grobbelaar – 082 889 3663 (SA and AFRICA) and he’ll be sure to assist you. Although Power Protection ( SineTamer® ), UPS’s, Solar, Voltage Stabilizer etc remains our core focus we have established relationships with a number of quality, brand name companies. These products are all electronic and as such are complimentary to our power products. Let’s face it – if you have a PC you need protection and backup power. We will steer away from selling cheap (uhh junk) products and stick with reliable products that you can trust. We have a lot of products on our shop and are continually adding more on a daily basis. Keep an eye out for specials that will arise from time to time. It’s nearly Christmas so have a browse at these exceptional products and grab a few for Christmas. The Kidz range is fabulous. Some of our IT related products are online now as well. II decided to keep this part in the newsletter in case it was missed last month. Here’s a link to a YouTube video (about 14 minutes) featuring the solutions we have partnered up with over the last 7.5 years. Take some time to watch it if you have not had a chance as yet. The on-line shop has a power solutions section. In there we have a number of products with all sorts of options. IF you don’t see what you need please email or call us for our advice. 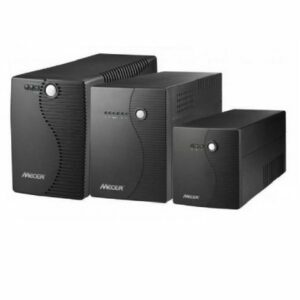 Have a look at the smaller UPS range … These are ideal for small applications – like PC’s, TV’s, security systems etc. Just a note – They are fully supported by us. 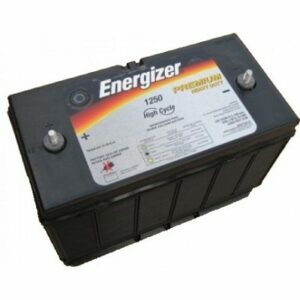 Batteries – we literally have a range from a AAA penlite battery to the 105AH long run, deep cycle UPS type batteries. If you are going away – look at replacing your alarm batteries. If that goes flat while you’re away … it could open the door to … well you know what I mean. With that all said and done. May we take the liberty to wish you a very merry Christmas and a happy New Year. May the Lord keep you safe as you travel on your holidays and we look forward to 208 with you.